Magic Ears is an English teaching platform. 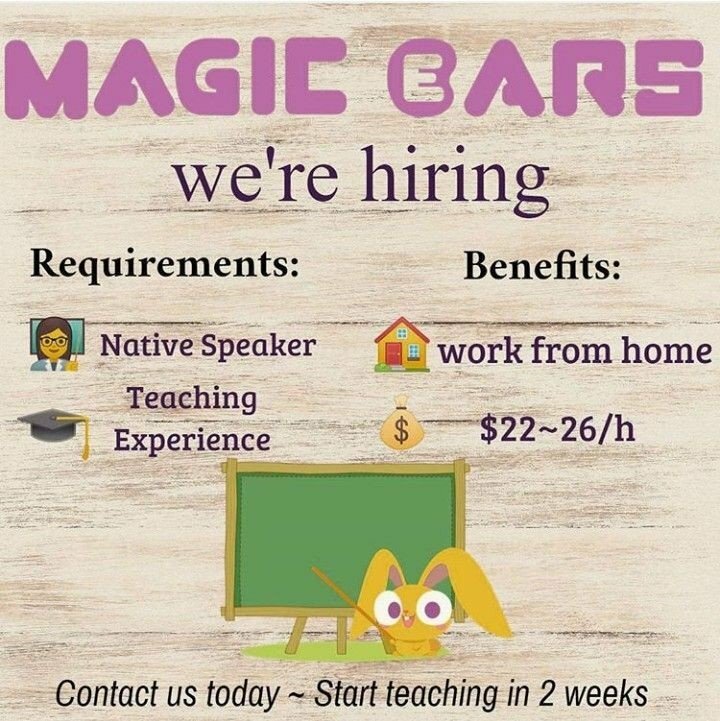 Currently Magic Ears is looking for people interested in teaching from home. Requirements include having a Bachelor’s degree and teaching experience.